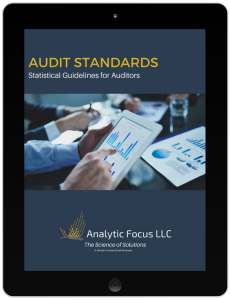 Everyone makes mistakes – maybe not auditors, but the rest of the world. 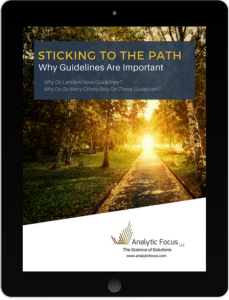 Download this FREE white paper for more information on the rules to follow and more. 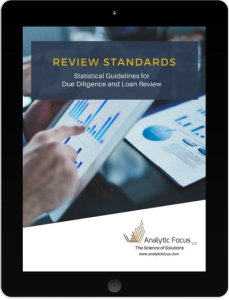 What Happens when the lender deviates from guidelines? As a lender, you need better information about whether or not you are sticking to your guidelines. Download the FREE white paper to learn more. Do you know the risks ahead on your off-road trek? Do you even have the right information about the origination, the borrower, or the loan? Without the correct information, you may not recognize deeper root causes of failures that result from increased risk. 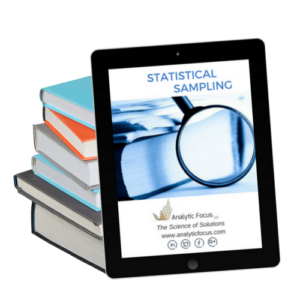 Statistical Sampling FREE eBook Analytic Focus’ expert Statistical Sampling services will aid in any investigation. Federal Agencies and Fortune 500 and 100 Companies trust our Science of Solutions. Analytic Focus understands how important the front-end quality of a loan is to the back-end quality of your investment. 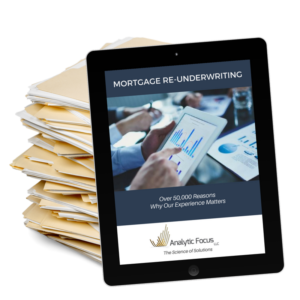 Find out why you need re-underwriting and how our experts conduct industry leading mortgage re-underwriting that gives you the assurance you need to know your loans are of high quality. Data scientists need the right tools to implement data mining techniques. This ebook looks beyond streaming content from the world wide web and provides a review of both structured and unstructured data. 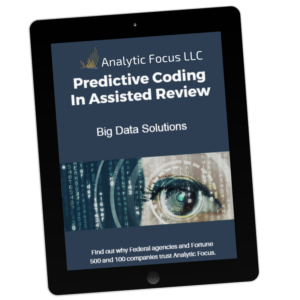 The eBook on “How Predictive Coding Fosters Assisted Review” will provide a deeper look at the methodologies behind a successful ediscovery review. Data Mining – New paths being forged in advanced analytics to automate activities across “text mining”. Text Sorting – How to improve your classification methods. Hybrid Approaches – How to combine predictive decisions with classification methods.